The Billi Resort is located in the tourist precinct of Cable Beach and is a boutique resort offering superb fully self contained villa accommodation, studio room and Ultra-luxurious Eco Tents. The Villas are either 1 or 2 bedrooms with flexible bedding configurations together with a large modern bathroom, Living room with TV and DVD, original artwork, dining, kitchen, outdoor entertaining with built-in lounges and BBQ and private outdoor rain shower. The tents are also fully self contained with kitchenettes, en-suites with freestanding baths and private outdoor entertaining. All accommodation is connected to a large resort style pool by raised timber decks which meander through mature, lush tropical gardens in your own private oasis. Discount car hire, on-site bike hire and FREE WIFI. Cable Beachs newest resort offering 8 x 2 room private villas, open spaces, floating timber decks, extensive gardens and exceptional pool. 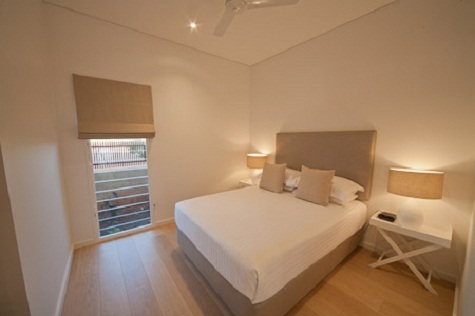 The One bed villa is identical to the 2 bed villas simply with an option of just one bedroom. This can be nominated as a QS bed or 2 singles. The villa is light, spacious and modern with original artwork, a full kitchen, lounge with TV and DVD, indoor dining, a large bathroom with dual showers, a private outdoor entertaining area with built in seating and a BBQ together with a private outdoor rain shower. The 2 bed villa is identical to the 1 bed villa just with an additional bedroom. Flexible bedding options available on request ie 2 x QS beds or 1 x QS Bed and 2 x Single beds. The villa is light, spacious and modern with original artwork, a full kitchen, lounge with TV and DVD, indoor dining, a large bathroom with dual showers, a private outdoor entertaining area with built in seating and a BBQ together with a private outdoor rain shower. This luxury tent is enormous and boasts a King size bed (which can be split to 2 singles) and can also accommodate 2 children in the price. Additional rollaways may also be purchased. 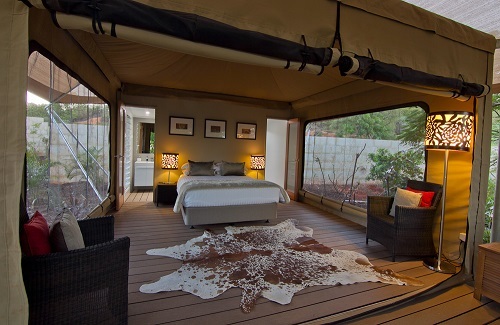 Perched on the hill, the KS tent overlooks the resort and gardens and has its own private outdoor rainshower, large kitchenette, en-suite bathroom with shower and freestanding bath, original artwork, TV and DVD player, private outdoor entertaining deck with built-in couches and BBQ. FREE WIFI. 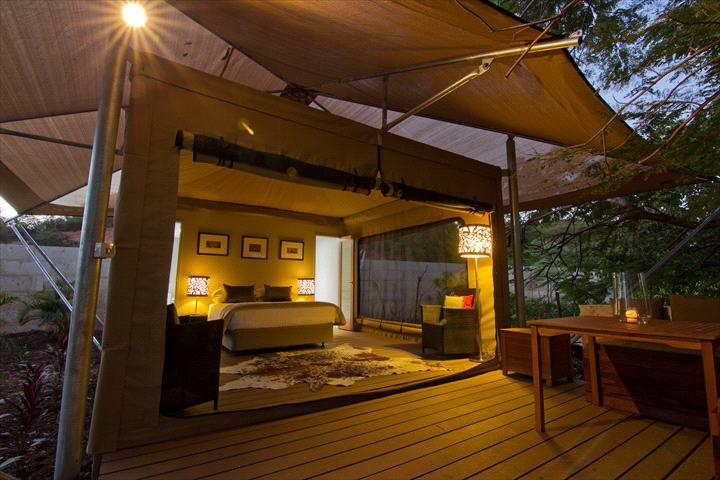 The Luxury Eco tent is beautifully positioned under a large canopy of trees and is a truly sublime experience. It offers a plush QS bed the same as in the villas, with an overhead fan, lovely cross ventilation and its own kitchenette on one side and private en-suite on the other complete with rain shower and freestanding bath. 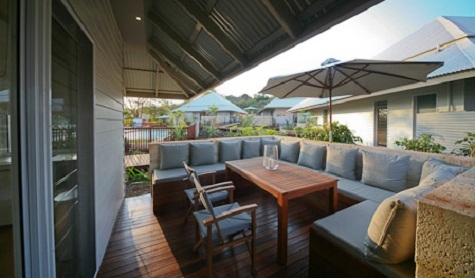 It also boasts a private timber deck with built in lounges and a BBQ. 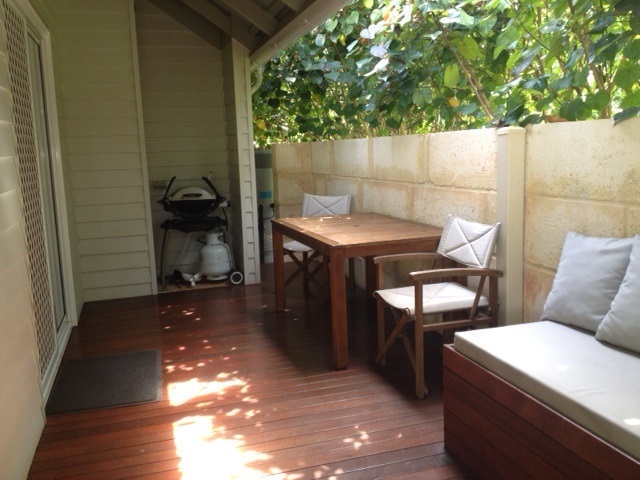 Additional foldaway can be provided at an additional charge. The studio room is a single room with a plush QS bed, TV and DVD, seating area, kitchenette and en-suite bathroom combined with a private outdoor deck with BBQ for entertaining. Full payment is required at the time of making your reservation. Bookings cancelled within 14 days of arrival will forfeit 1 nights accommodation. Bookings cancelled within 3 days of arrival or no-shows will forfeit the entire balance of their stay.